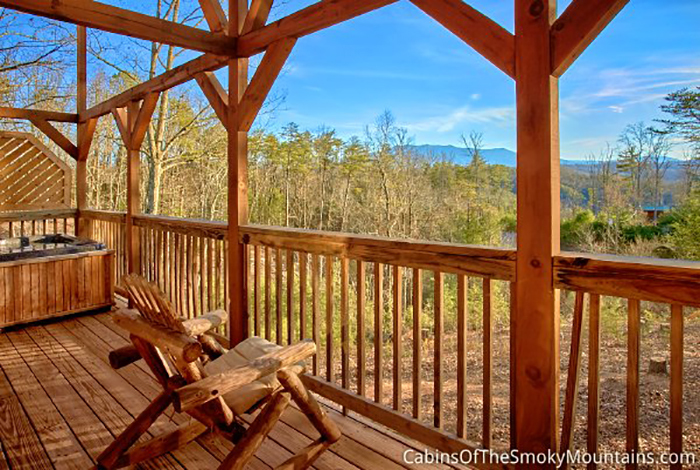 Mountains, Views, and Serenity are what you get when you stay at Heaven's Perch. 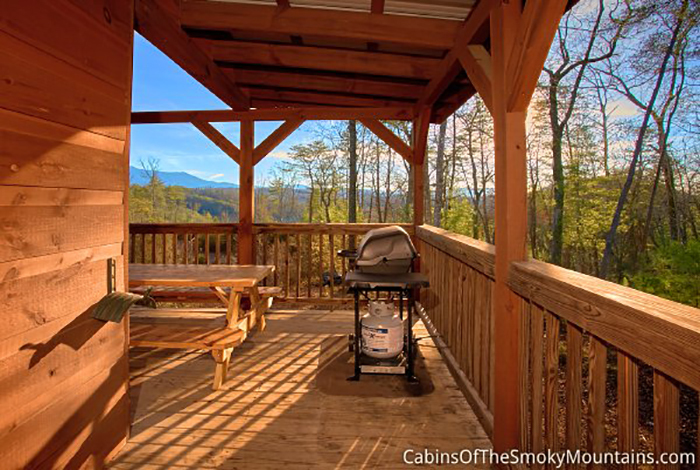 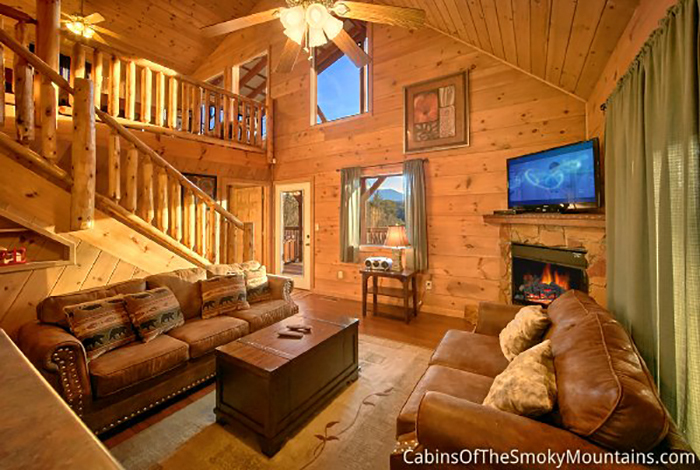 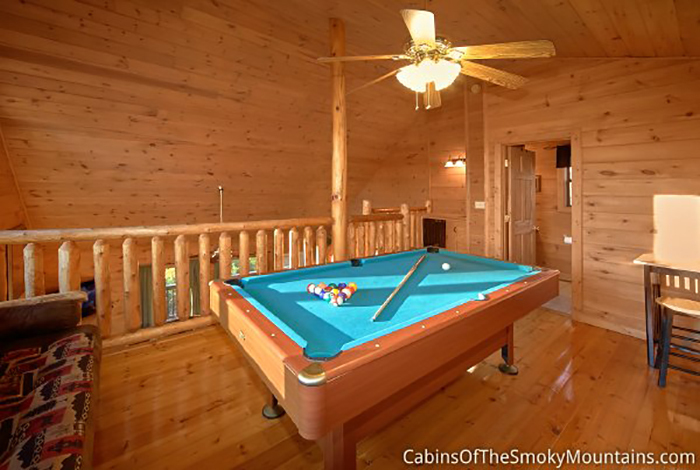 Get the true experience of a Pigeon Forge Cabin Rental in The Great Smoky Mountains when you stay at this luxurious cabin. 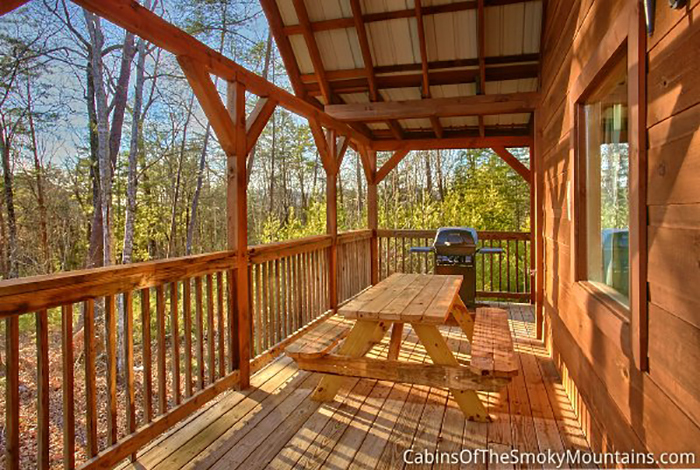 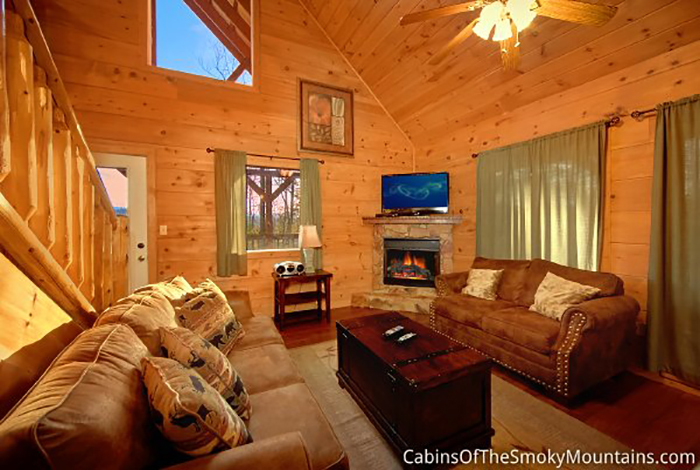 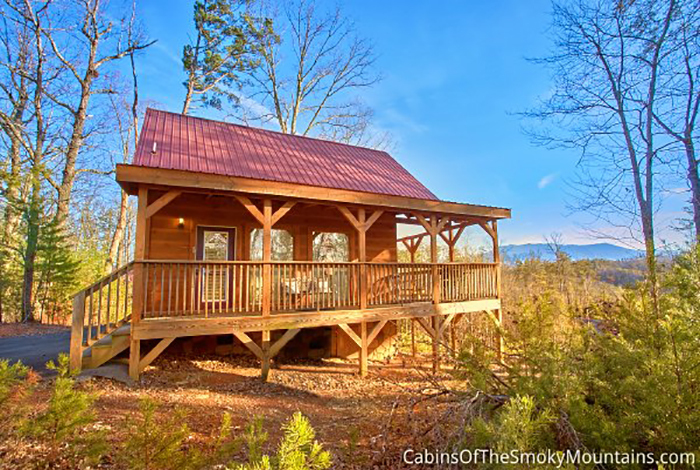 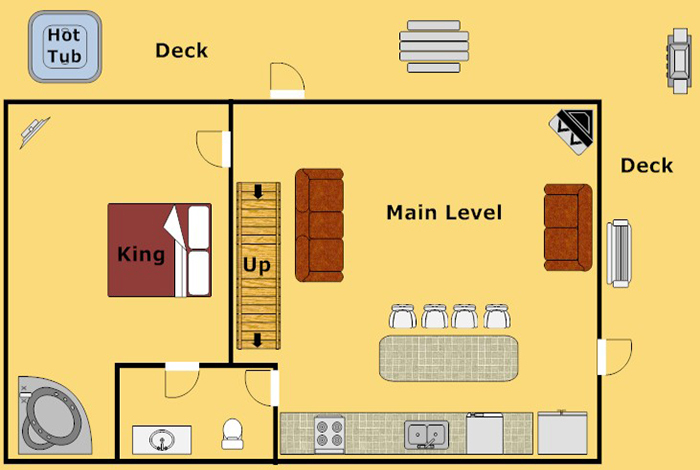 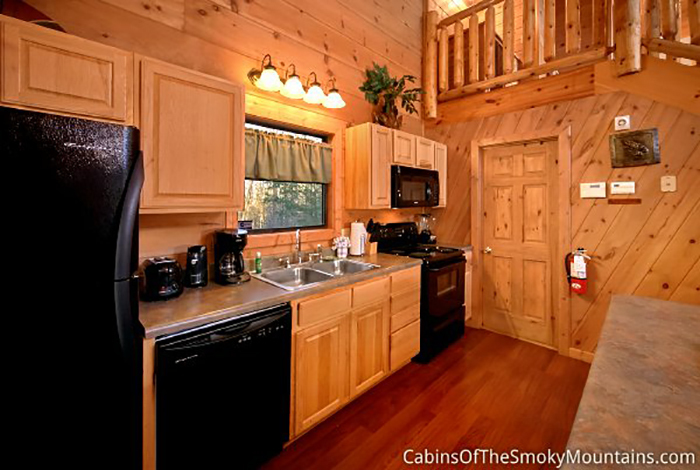 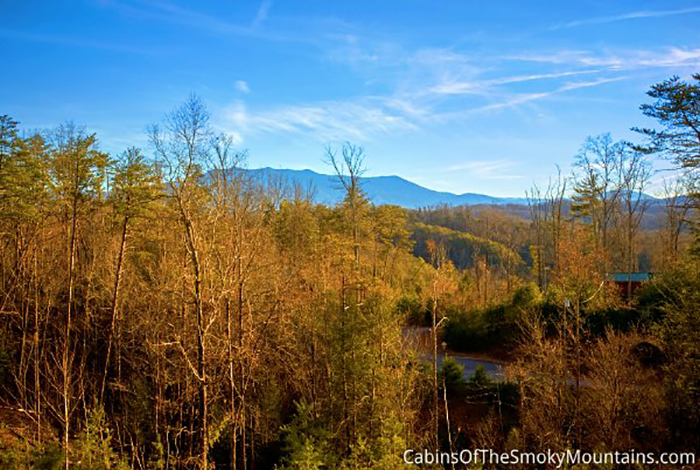 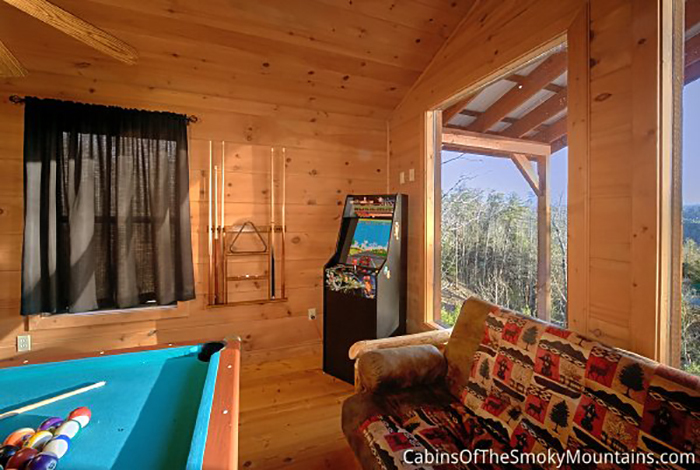 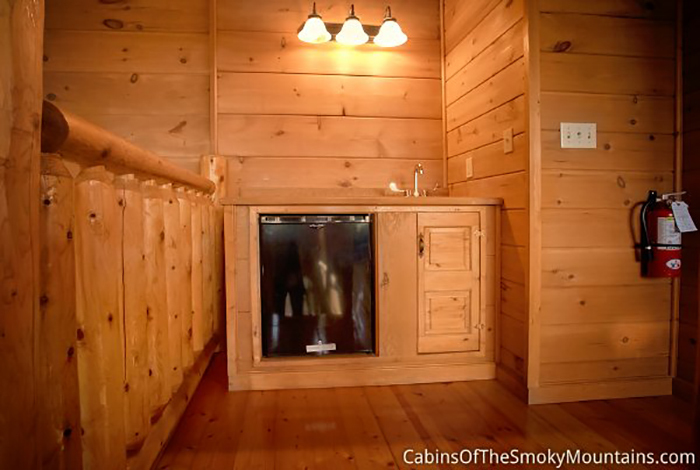 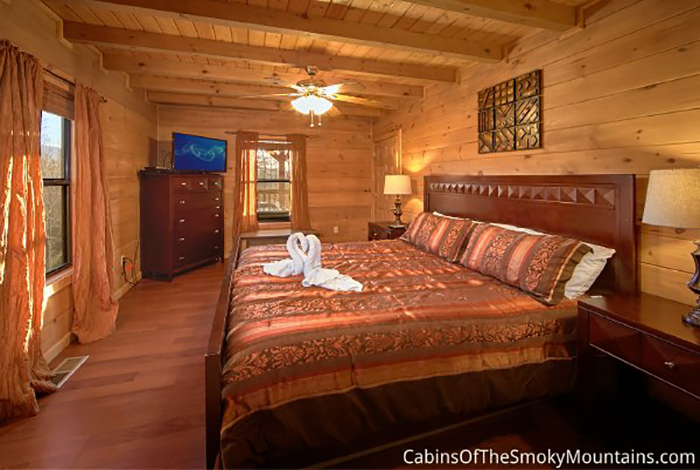 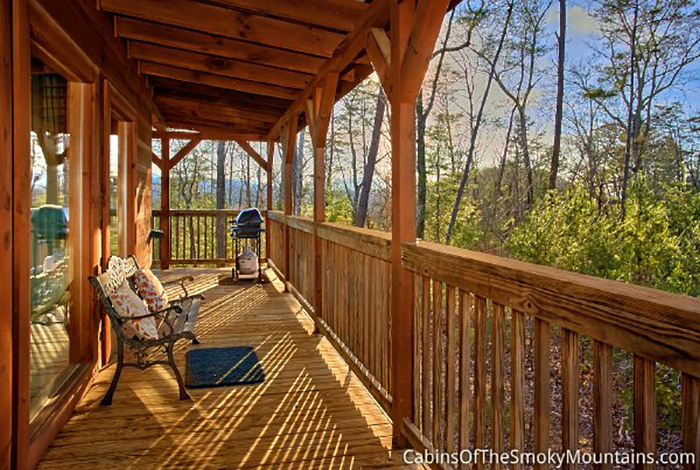 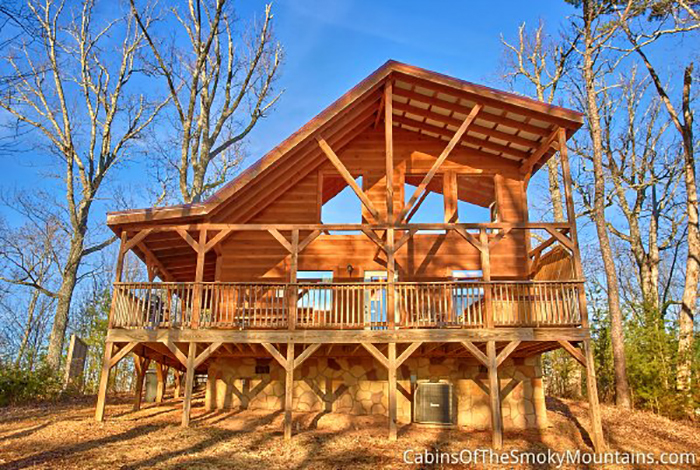 This luxury one bedroom cabin rental is ideally located just minutes from downtown Pigeon Forge and close to Gatlinburg, and is the perfect Pigeon Forge Cabin rental for a romantic escape, family getaway or time with friends. 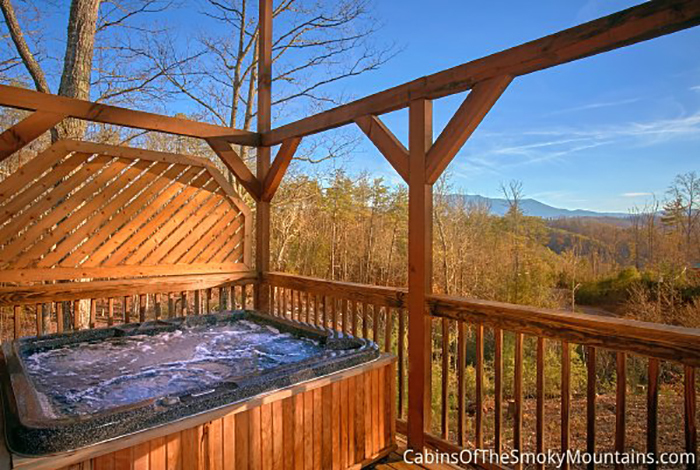 Experience the views of The Great Smoky Mountains from your hot tub. 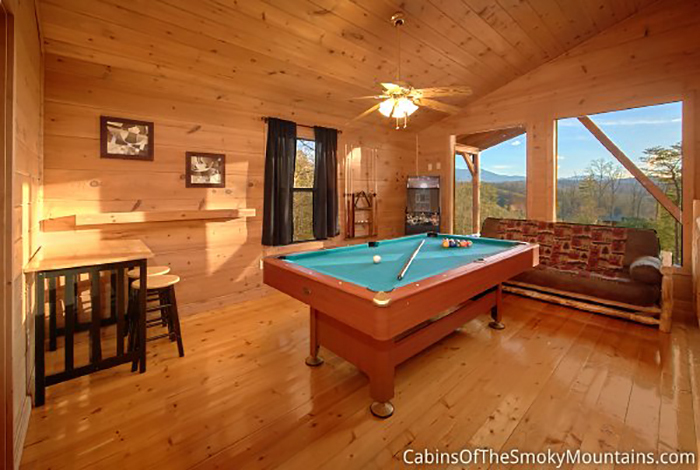 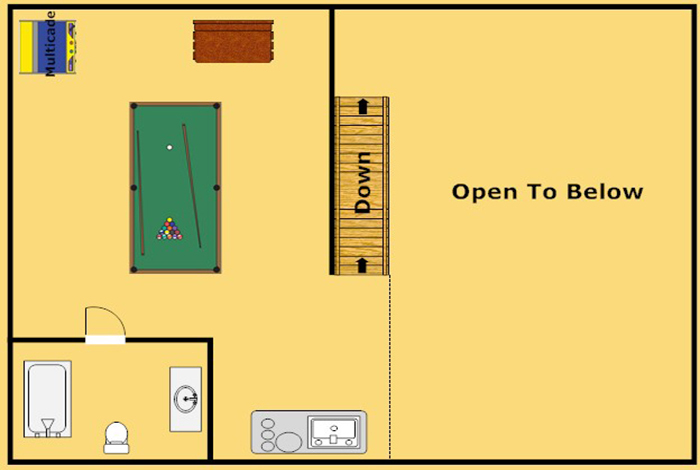 Play a fun game of pool before you cuddle up by the fireplace. 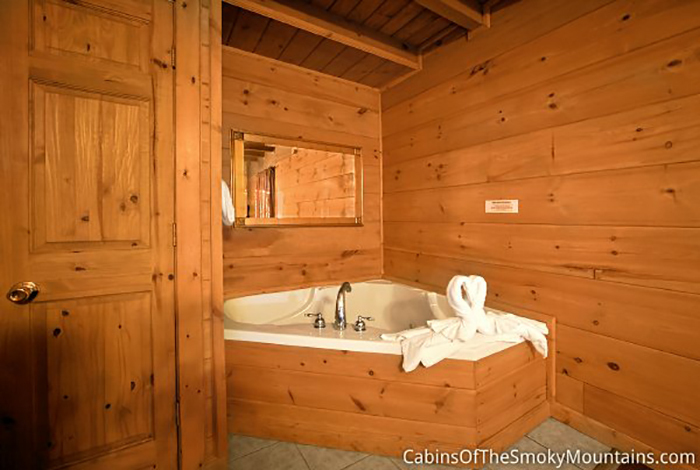 Unwind while soaking in your Jacuzzi tub. 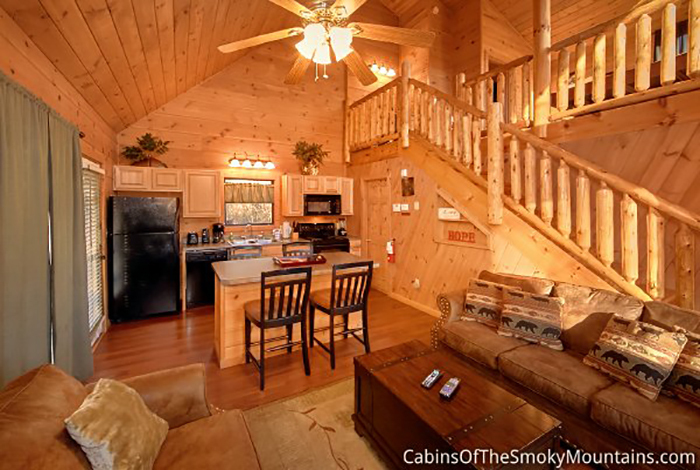 Spend the day at Dollywood and your nights experiencing dinner like never before at Dixie Stampede. 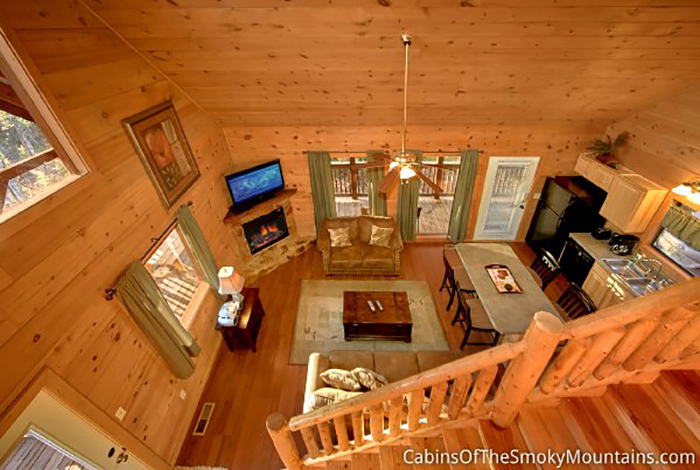 No matter what you choose to do during your stay in Gatlinburg, feel liberated when you stay at Heaven's Perch!